Chronic migraine pain can reduce your quality of life, making it difficult to go to work or stay physically active. At River Oaks Chiropractic Clinic in Fort Worth, Texas, the specialists can evaluate the frequency of your migraines and help you find relief from intense pain and other symptoms. Using the latest innovations in chiropractic care, the team creates a custom treatment plan to provide short-term and long-term relief of migraine headache pain. Find the right solutions for treating migraine pain by calling River Oaks Chiropractic Clinic today. Migraines are a severe type of headache that can cause a throbbing or pulsating pain on one or both sides of your head. Pain can be intense enough to cause persistent nausea and vomiting and make you more sensitive to light and sound. If you have family members that experience migraines, you coud be at increased risk of having them too. How does chiropractic care treat migraine pain? 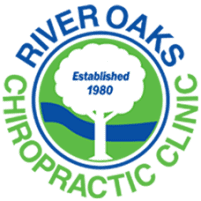 The chiropractic team at River Oaks Chiropractic Clinic focuses on alleviating migraine pain with manual adjustments to the body. In many treatment plans, a realignment of the spine can provide relief from intense migraine headaches. You might also benefit from acupuncture, which uses slender needles to stimulate blood flow in the body and reduce the severity of headache pain. The River Oaks Chiropractic Clinic staff offers advanced MLS® laser therapy, a technology that uses light energy to relieve the neck and head pain common with migraine headaches. The laser energy reaches the deep tissues beneath the skin’s surface to enhance blood circulation and reduce pain and inflammation in the soft tissues. Your River Oaks Chiropractic Clinic specialist can evaluate your migraine symptoms and lifestyle habits to identify potential migraine triggers. By avoiding these triggers, such as certain foods or loud noises, you can reduce your risk of recurring migraine headaches. The team might also recommend daily exercises and/or stretching to relax your muscles and keep you physically fit. It’s also important that you drink plenty of water to keep your body well-hydrated. Routine chiropractic adjustments can keep your body flexible and reduce your risk of developing migraine headaches in the future. These treatments can be especially important if you work at a desk or a manual labor job that puts stress on your muscles, potentially triggering a migraine. Find relief from migraine headache pain by scheduling a chiropractic consultation today. You can book online or call the office to learn more about available treatments for migraines.